Cavalor ArtiTec is a revolutionary 4th generation joint supplement, which has been developed step by step, over a number of years. It has been clinically tested and we believe it to be a huge advance in Equine joint health. 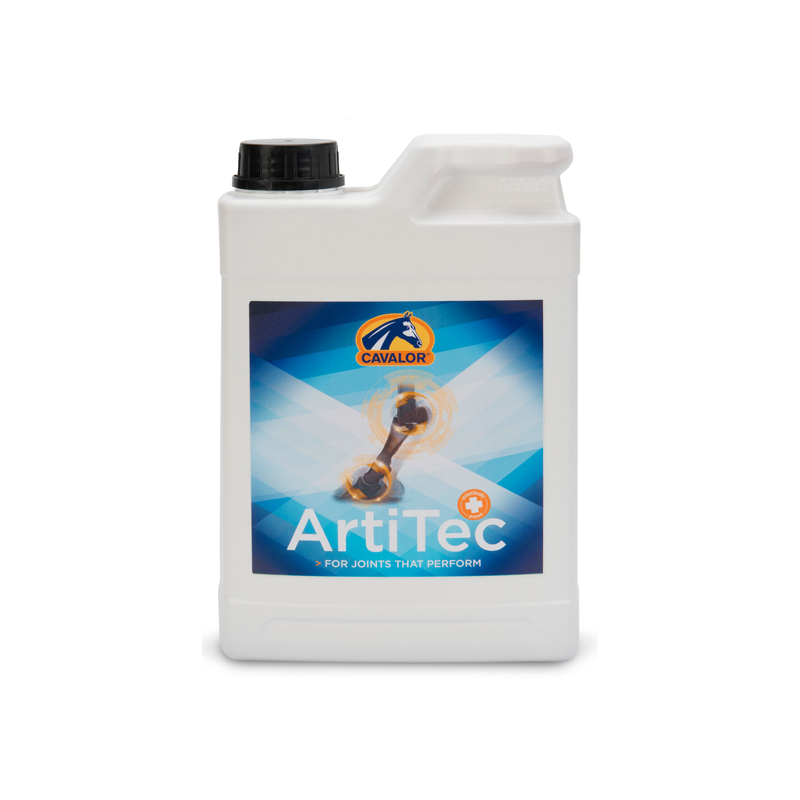 It is ideal for high performance horses as it supports the joints, reduces synovial inflammation and may be useful in preventing the development of osteoarthritis. Cavalor also offer a doping free guarantee so you can feed it whenever your horse needs it. This unique nutraceutical contains many active anti-inflammatory ingredients, which are all readily available for absorption and found in higher concentrations. Cavalor is a world leader in Equine nutrition and their supplements only contain natural ingredients, which meet all FEI and Jockey Club regulations for competition. Raw Ingredients: Glucosamine sulphate, Chondroitin Sulphate, MSM, Ananasus Comosus extract, Hyaluronic Acid (Food grade) & Glycerin.